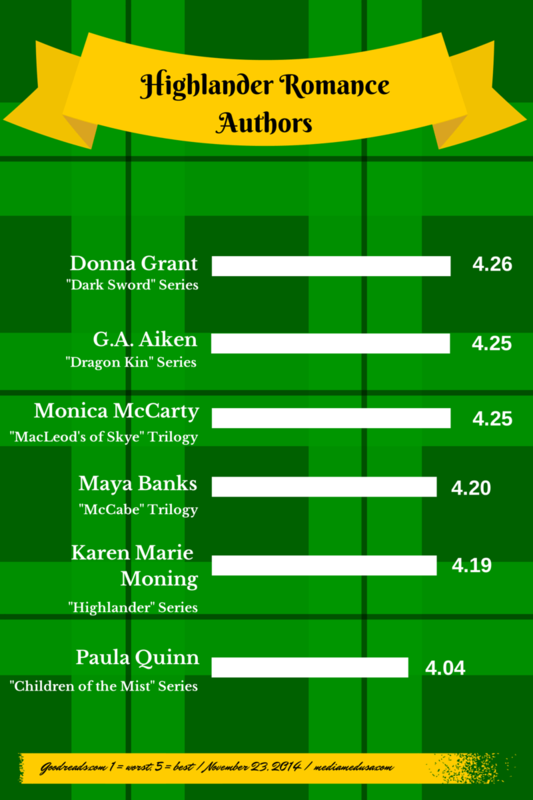 This infographic ranks authors who write Highlander romance novels, based on ratings from readers at Goodreads. See the full introduction and explanation in the first part of this article. Thanks for reading! Which series is your favorite to read? Tell me in the comments! its my favourite genre too. I came upon it when I read Julie Garwood’s The Prize and that was it. She is an extra ordinary witer and so are Monica Mccarty, Margaret Mallory and Karen Marie Moning.Marsha Canham’s blood of the roses and the pride of lions are must read. Simply fantabulistic. Tanya Anne Crosby, Colleen Gleason and Glynnis Campbell are some other good authors of this genre.